On 24 November 2016, ASSODIPRO organised a conference at which political, military, trade union and association representatives, as well as lawyers came together. The conference was an opportunity to celebrate and remember the former President of ASSODIPRO, Emilio Ammiraglia, who passed away last year but dedicated many years of his life to the fight for the rights of military personnel. Several representatives and members of EUROMIL were present at the event, namely Emmanuel Jacob, President of EUROMIL, Antonio Lima Coelho, former President of ANS (Portugal) and newly elected Board Member of EUROMIL, as well as Jorge Bravo, President of AUME (Spain). 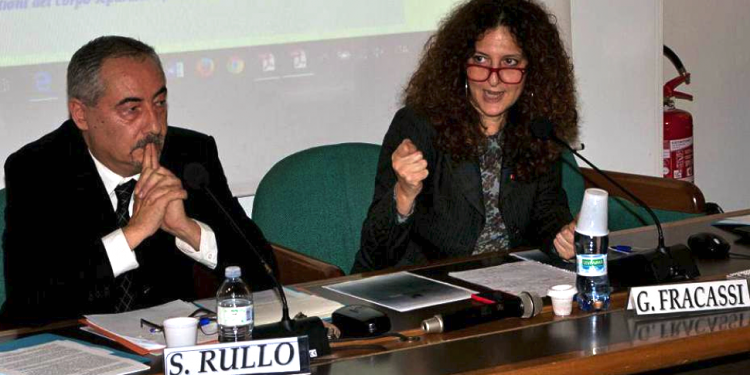 Among the many interesting speeches delivered by the guests at the conference, it is worth highlighting those of two members of the Italian Parliament. Hon. Gianluca Rizzo, the Secretary of the Committee of inquiry on the effects of the use of depleted uranium, presented the work of the Committee. Massimo Artini, the Vice-Chairman of the Defence Committee of the Chamber of Deputies, elaborated on the work of the inquiry commission. He highlighted the many deaths due to cancer caused by depleted uranium and asbestos, to which military personnel is particularly exposed during missions abroad on ships or in military arsenals in Italy. In this context, the fact that legislation on association or trade union rights for military personnel in Italy is still pending, is a sad note. For more information please contact ASSODIPRO.